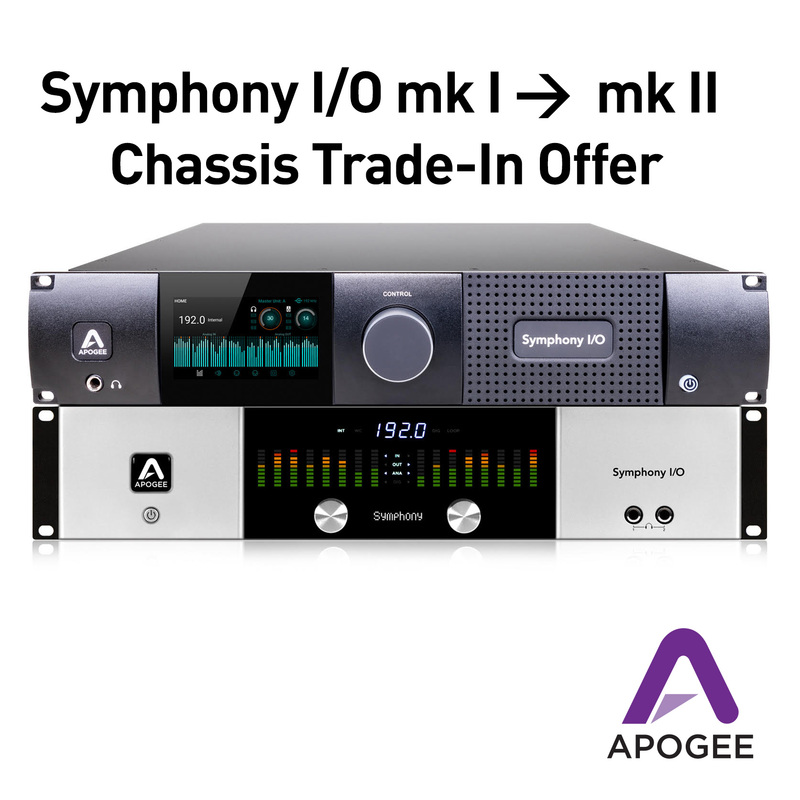 Apogee and Sound Technology Ltd are pleased to announce a Symphony mkI to mkII chassis trade-in program. This limited offer allows owners of a Symphony I chassis a final opportunity to trade it in and receive a £500 discount on a Symphony mkII Chassis. From 6th March until 30th April 2019, customers can trade in their Symphony I chassis and receive a £500 discount off the standard price of a Symphony mkII chassis, reducing the price to just £1329 inc VAT. Customers should contact a participating Apogee dealer to trade-in their chassis at the promotional price. For more information on the Apogee Symphony I/O mkII system please click here. Symphony I/O mk II Thunderbolt is the most powerful multi-channel audio interface for Thunderbolt-based Mac workstations. Designed for the home or professional studio running Logic Pro X or any other native based DAW, this system offers your choice of 4 different base I/O configurations with the option to expand up to 32×32 simultaneous channels per unit while still maintaining incredibly low latency.